For this week’s photo challenge, Patti Moed asks us to share images of cityscapes. She writes, “For this week’s Lens-Artists Photo Challenge #29, share a cityscape of one city or several cities with populations in the thousands or millions.” You can read her entire challenge post here. 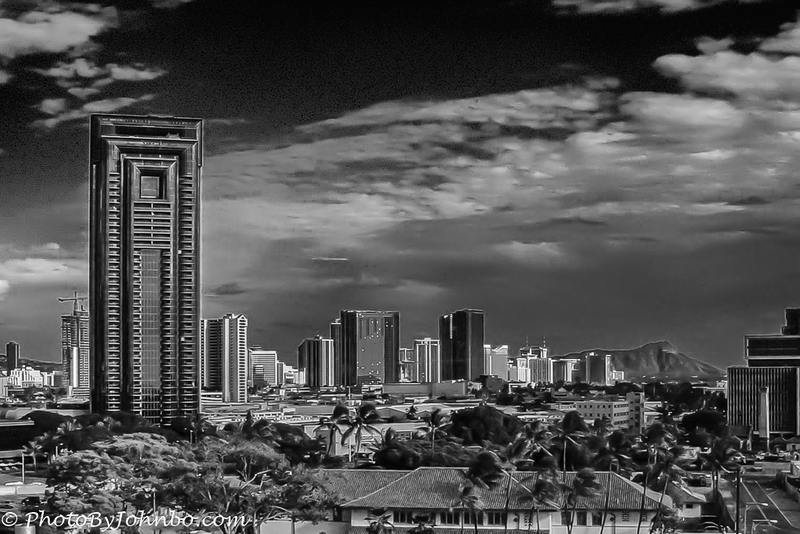 As it happens, one of my favorite black-and-white images features Honolulu from the upper decks of a cruise ship in the harbor. I chose that as my opening image. I don’t have many photos of panoramic cityscapes, though I am near Phoenix, I could go up on one of the mountains and capture one. Oh, wait! I’ve done that before. The image above was captured at dusk just as the city lights were coming on. 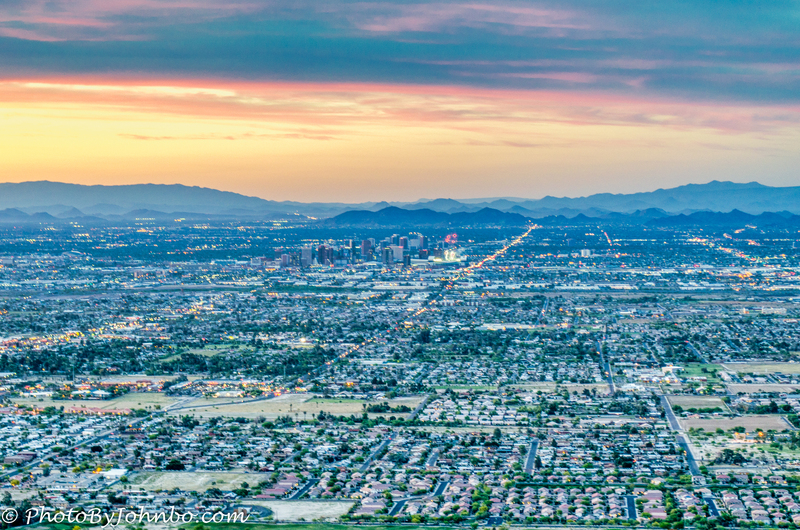 Photographed from South Mountain’s Dobbin’s Lookout, almost the entirety of the city is visible, some 1.6+ million residents live in the city proper and over 4.5 million live in the Phoenix metro. If you look at the skyscrapers in the center, you’ll see some “red dots”. Those are from a fireworks display that was ongoing at the Arizona Diamondbacks field, Chase Stadium. From a cruise ship, I’ve gotten a few cityscape images similar to the opening image of Honolulu. 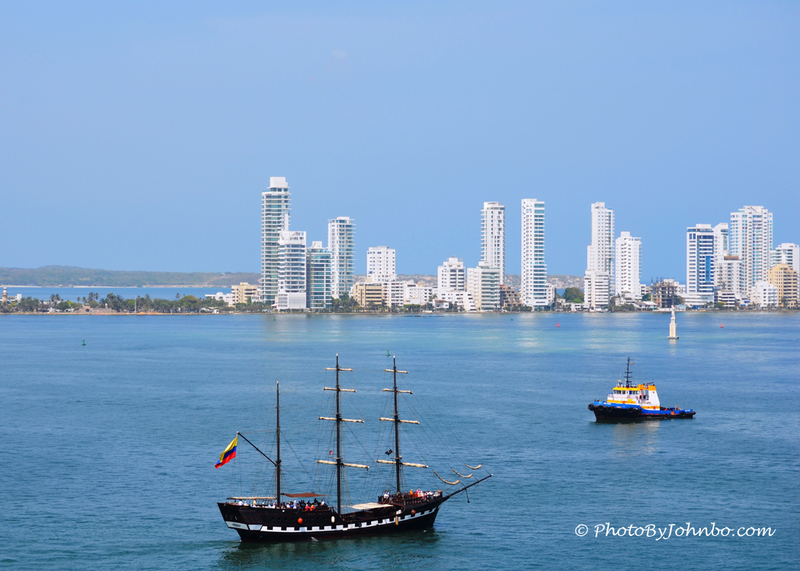 The image above features the skyline of the Bocagrande area of Cartagena, Colombia. In keeping with Patti’s challenge, I feature a city of some 650,000 population. Mazatlan, Sinaloa, Mexico doesn’t have a highrise skyline. 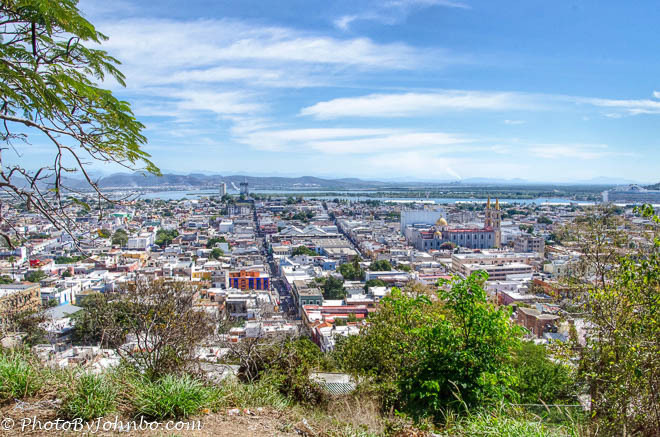 From a high point on the nearby mountain, the truly dominant building is the Cathedral Basilica of the Immaculate Conception in the center right of the image above. The skyline above features a truly identifiable tower, the Space Needle at Seattle, Washington. 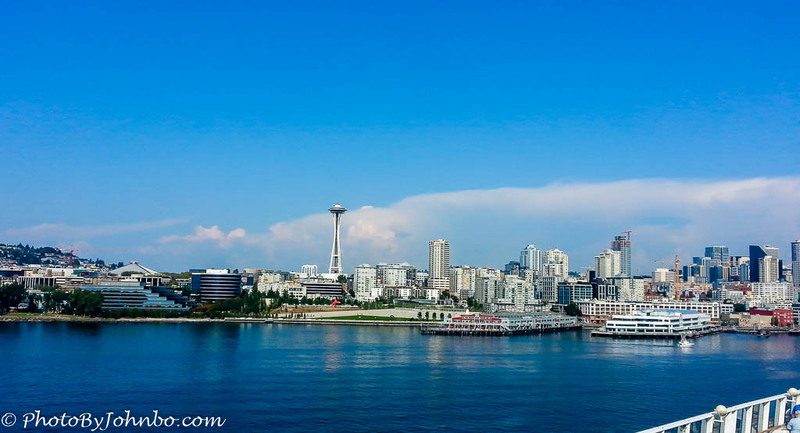 It is an image captured from the upper deck of a cruise ship as we departed Seattle for a cruise along the inside strait of Alaska. Venturing to St Thomas, USVI on the cruise ship Carnival Magic, we found ourselves winding our way to the peak of Crown Mountain, the highest point on the island. 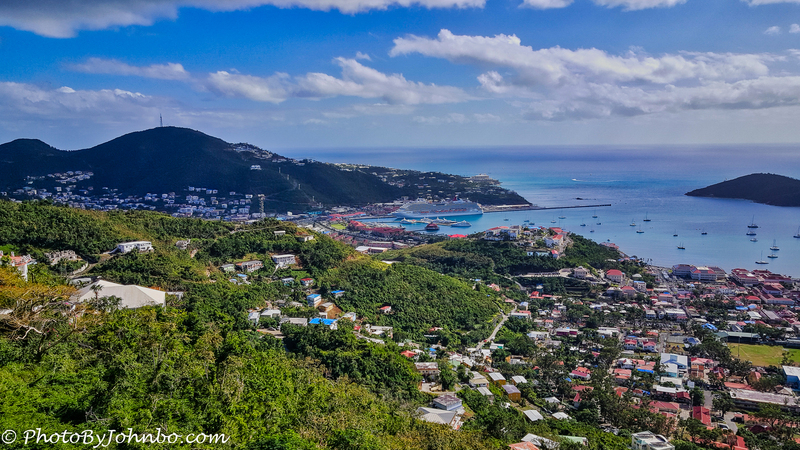 From there, we got a view of the capital city, Charlotte Amalie with a population of just over 10,000 residents. For my last image, this skyline represents the home of over 700,000 residences. 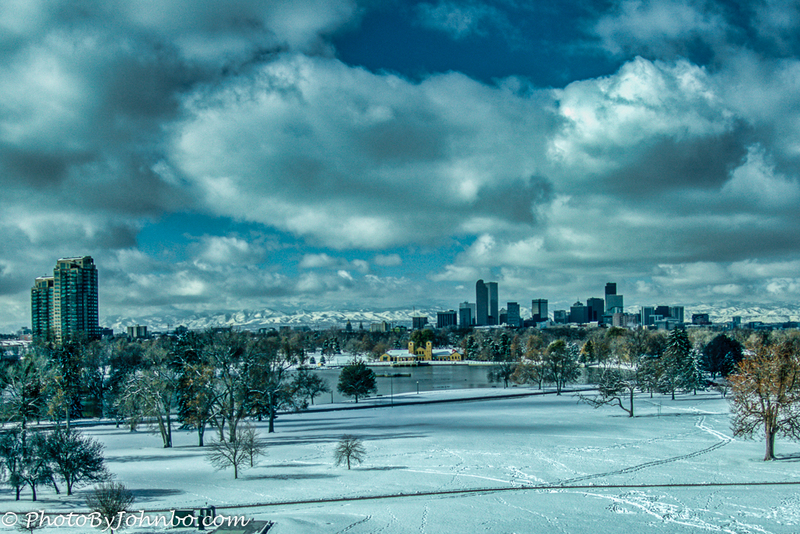 This view of downtown Denver, Colorado was captured from the observation floor of the Denver Museum of Nature and Science in mid-November 2018. Cities large and small leave their footprint on the planet, some more recognizable than others. I hope you enjoyed this quick skyline tour. St. Thomas eh? 10,000 residents… That’s a city I could get behind! Great pics & an even better job of jet setting around appreciating a world that doesn’t appreciate itself. Thank you! This was an interesting challenge topic.